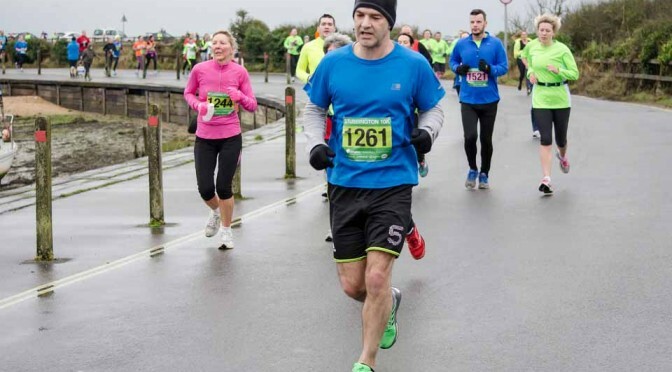 Stubbington 10k organised by the Stubbington Green Runners has been held for the past 30 years. Originally the course ran around the former HMS Daedalus airfield towards Lee on the Solent, along Brune Lane through the golf course and then back towards Stubbington past Holy Rood Church. I still have a surviving mug from one of my entries. This year’s conditions were favourable I guess, damp and cold, but good for this time of year. I can only remember the event being cancelled once! The front runners were passing the 7k mark at Titchfield Haven after about 25 minutes and the slowest after about an hour. My time for 10k was around 50 minutes. Click on any thumbnails below to view the pictures in a carousel. If you have any comments or questions please use the contact form in the right hand side bar and I will get back to you as soon as possible. 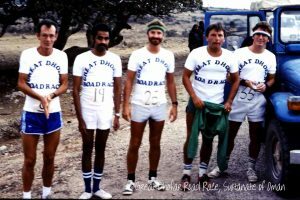 The Great Dhofar Road Race, Sultanate of Oman, was the furthest distance that I ever ran/jogged/walked. The Great Dhofar Road Race, Sultanate of Oman. 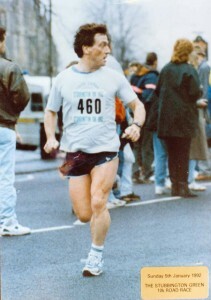 Airwork runners looking forward to the next 30k, not sure of the date but sometime in the early 80’s. This is the Airwork team sometime in the early 80’s preparing to ‘run’ some 30k, half through the Jebal and the rest across the Salalah coastal plains. If only I could remember their names…..